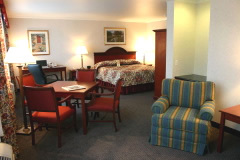 Spokane’s newest hotel, the Holiday Inn Spokane-Airport, is located in the fastest growing area of Spokane County, the West Plains. 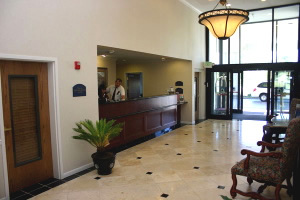 Business travelers will appreciate free High Speed Wired or Wireless Internet access, complete business center and Peppers Grill and Bar. 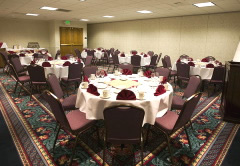 Holiday Inn is within close proximity to the Spokane Convention Center. 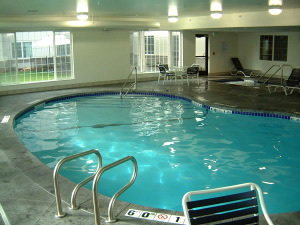 You will find us a great base to operate out of when enjoying the many nearby attractions such as the NW Museum of Arts and Culture, Riverfront Park and other local attractions. 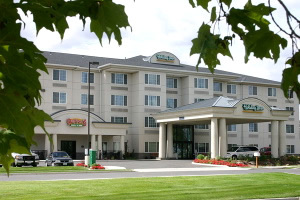 Location: The Holiday Inn Spokane-Airport is conveniently located 3 minutes from the Spokane International Airport and downtown Spokane with easy access to and from Interstate 90 and Highway 2.